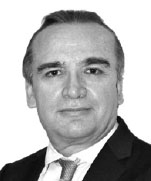 Joaquin Contreras is an Attorney and Counselor-at-Law, admitted in Mexico in 1989. He received his JD degree from Universidad Iberoamericana Law School and his LL.M. degree in 1991 from University of Houston. From 1992 to 1993, he worked at the international program of Cleary, Gottlieb, Steen & Hamilton in New York. Prior to joining our Firm, Mr. Contreras was the Director of the General Customs Administration of the Port of Altamira. Mr. Contreras’ areas of focus include international trade and customs, where he provides specialized services in a broad number of industries, including in-bond or maquila programs in the Mexican automotive industry. Mr. Contreras is also highly recognized in the field of infrastructure, where he has worked extensively in the area of ports law. Advising Hutchison Ports Holding since 2007, the largest independent port operator in the world of containers terminals, in different legal matters and projects involved in the operations of its four containers and cruise terminals located in the Lazaro Cardenas, Veracruz, Manzanillo and Ensenada ports. Assisted this port operator in the development of the first containers terminal in the Lazaro Cardenas port. Advising the Association of Terminals and Port Operators (ATOP) the private Mexican chamber that represents the most important port terminals in Mexico, in different legal matters and legislative proposals. For over 10 years have advised different private and public port terminals and operators in different port projects and legal matters, including, bids for containers, automobile, bulk minerals, liquids and petrochemicals terminals; regulatory matters involving port developments, and complex litigation port and maritime matters. Advised the Port Administration of Altamira in the design and development of the rules for the operation of the first maritime private foreign trade zones at the industrial port of Altamira. Advised a global auto-parts manufacturer in different legal matters involving the operations of four maquila plants in Mexico, including, large and complex litigation matters and administrative procedures before the Tax Service Administration. Advised the first private Port Automobile Terminal located in Altamira, in different regulatory matters regarding the import and export transactions of automobiles. “Some Considerations on the Protection of Direct Foreign Investment in Light of Private International Law”, Juridica Law Review No. 24, published by the Department of Law of Universidad Iberoamericana, October 1994. University of Houston, 1991, LL.M.